Stepping into the office of your divorce lawyer for the first time can be overwhelming since you are taking the first step in filing for a divorce. Depending on where you currently stand in the divorce process, you might need to have your attorney file the divorce papers with the court to start the process. In general, the initial consultation involves the client asking a few general questions about the upcoming divorce. After answering, the attorney will ask a lot of questions regarding income, life at home, if there are kids involved, and yours and your spouse relationship and past. The goal here is for the attorney to get an understanding of the psychological and financial state the client is in and in order to make any referrals to a therapist, divorce coach, or accountant/financial planner if necessary. Then, the relevant divorce-related issues will be discussed, as your attorney will want to take a pre-emptive approach to the major issues that may come up. Some examples of issues to consider are who wants the custody of children, if child support will be necessary, as well as an outline of the division of property and debts. The information will be reviewed by your attorney, and assist them in calculating what the proper amount of alimony would be (if needed), and how long it should be paid. By the time the meeting is over, the client will be tasked with learning as much as they can about the couple’s finances, e.g. assets and ongoing expenses, regardless if one spouse was the designated person to look over the finances. The consultation is completely confidential, and your soon-to-be-ex-spouse will not find out through the attorney that you met with them. 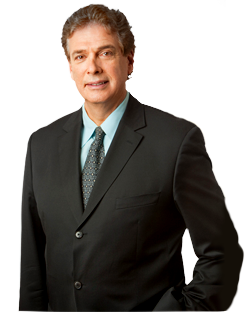 Your lawyer is your ally, and you should completely and totally confide in them with everything regarding your divorce. They are the professionals that understand what is needed to be done to achieve a favorable settlement, and moreover, are not emotionally engaged in the divorce, giving them the ability to really think more clearly, instead of reacting via the emotional response.